David Colmer was born in Adelaide in 1960. 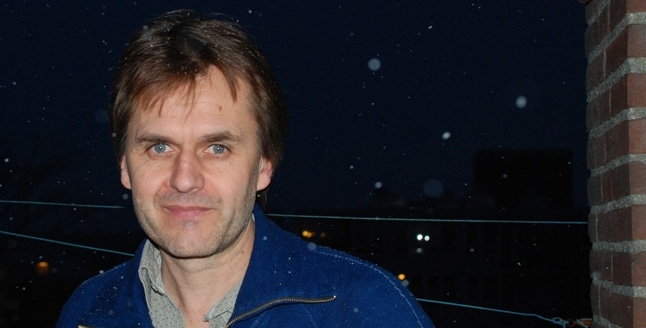 Since moving to Amsterdam in the early 1990s, he has published a wide range of translations of Dutch literature, including the brilliant, IMPAC-winning The Twin. He is also a published author of fiction, and in 2009 was awarded the biennial NSW Premier’s Translation Prize. He was shortlisted for his translation of Ramsey Nasr’s Heavenly Life. I’m not overly fond of rules, and reading other translators’, although enjoyable, tends to make me aware of my own failure to live up to them, even when I think the rules in question are sensible and almost inarguable: things like “only translate from languages you know well” or “always read your translations out loud.” Because of this, I’ll phrase mine as aphorisms rather than rules and only give four. I’ve often heard variations on the first two at translation workshops and readings here in the Netherlands, but after twenty years of translating from Dutch I am still more than capable of making embarrassing errors when I forget them and the less experienced a translator is with the source language, the more crucial they’re likely to be. 1/. A word or phrase of the original that seems peculiar or striking might be a very normal way of putting it. 2/. A word or phrase of the original that seems very normal might be a peculiar or striking way of putting it. 4/. A clever rhyme can’t make up for a bad line. Judith Wilkinson is a British poet and translator. She grew up in the Netherlands and is fully bilingual. 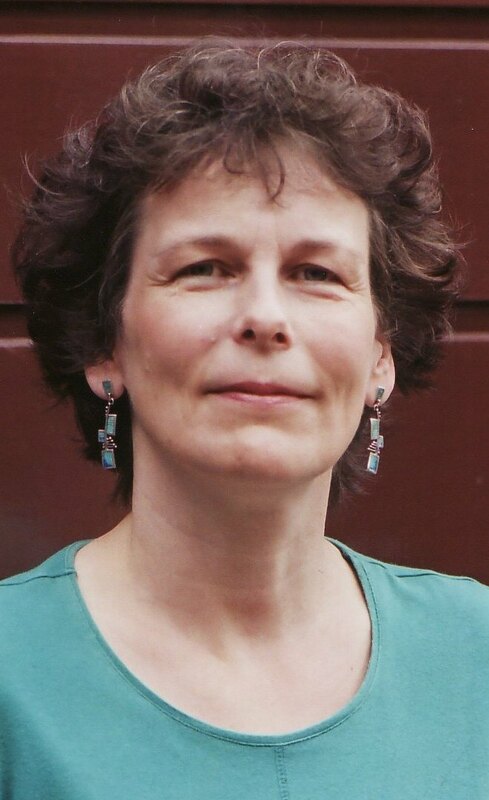 Her translation of Toon Tellegen’s About Love and About Nothing Else was published by Shoestring Press in 2008; her translation of his Raptors, published in February 2011, was shortlisted for the Popescu. You can find her at judithwilkinson.net. 1. Choose poems you love or at least find compelling. This will motivate you to do them justice in translation. 2. Cultivate relaxation, particularly when you hit a brick wall (easier said than done). Your thinking tends to be less linear when you are relaxed, so this can be a time when solutions present themselves. Contradictory as this may sound, it is worth experimenting consciously with relaxing the mind (even without a stiff whisky). If you happen to enjoy meditation, allow a problematic phrase to float through your mind like a mantra, or try out some other relaxation technique soon after obsessing over a knotty problem. 3. Assume that there is a solution (even if there isn’t always such a thing) and that the language into which you are translating is rich enough to yield wonders equal to those of the original poem. Trust can be a catalyst when teasing out solutions. There is always room to manoeuvre in; even a sonnet is a spacious thing. 4. It’s all right to be messy. Sometimes, in the process of tackling different aspects of a poem, you might feel that the poem is being deconstructed to the point of chaos. Allow the chaos, and allow yourself time – Stravinsky once said that he found it was important to ‘know when to wait’ – so that the poem can gradually reassemble itself into an organic whole. It helps to have many poems on the boil simultaneously, so you can be in a quandary in one place and happy in another. 5. Memorise your translation if you are having difficulty with it. In this way you can live with a poem and play around with it at any given time. 6. The musicality of a poem is not an arbitrary embellishment. Try to get a feel for it and let your translation capture it, without being too dogmatic about technique. When you have completed a translation, ask yourself if this is a poem the poet could have written, had he or she been working in the target language. 7. If you are drawn to a poem without fully understanding it, start translating it straightaway. Translation is an excellent way of ‘climbing inside a poem’ and getting to grips with it. 8. Discuss the poem and the translation with as many people as possible. Try out the translation on some native speakers to see if it works as a poem in its own right. 9. Ask yourself if the translation sounds like contemporary spoken language. If the answer is no, then ask yourself if there is good reason for this. Of course poetry is a concentrated or heightened form of language, but it can still be a useful question to ask. There may be times when you are initially satisfied with a translation because it appears to flow well, only to realise later that it has veered too far from everyday spoken language and is unnaturally rhetorical or even archaic. 10. Rhythm has something to do with emphasis, with having the stress fall on key words, and so it doesn’t necessarily matter if the shape of a poem and the length of its lines are different in translation – unless of course you are dealing with strict metres and rhyme schemes, where there are clearer boundaries. 11. Respect the poet’s wishes as well as your own, and don’t expect a working relationship to develop overnight. You’re handling someone else’s baby. If you can’t reach a satisfactory end-result, ditch the translation. 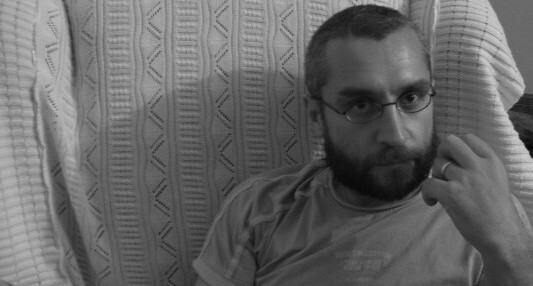 George Messo is a poet, editor and teacher, and a leading translator of Turkish poetry. His many books include From the Pine Observatory (2000), Entrances (2006), and Hearing Still (2009), as well as two books in Turkish: Aradaki Ses (The In-between Voice, 2005) and Avrupa’nın Küçük Tanrıları (The Little Gods of Europe, 2007). His translations include İlhan Berk’s A Leaf about to Fall: Selected Poems (2006), Madrigals (2008), and Berk’s epic poetic trilogy The Book of Things (2009). His anthologies include İkinci Yeni: The Turkish Avant-Garde (2009) and From This Bridge: Contemporary Turkish Women Poets (2010). He has twice been shortlisted for the Popescu European Poetry Translation Prize (including this year), and was a Hawthornden Fellow in poetry during 2002. His critical study, Into the Labyrinth: Essays on Modern Turkish Poetry, is forthcoming. Messo is the former editor of Near East Review and in 2008 he was elected a Fellow of The Royal Asiatic Society. He can also be found at http://georgemesso.wordpress.com/. 1. “Untranslatable” — the most alluring, provocative word in the language. Circle it. Prod it. Give it a kick. See if it moves. 2. Respect without reverence. Translation isn’t a faith. It’s not a free lunch either. Believe whatever you like but keep your hands in your pockets. 3. Translation is play. Toy with the poem. Throw it around. Take it apart, even if you haven’t a clue how to put it back together. 4. Slash and burn. Revise your way to the poem. Erase. Re-write. Reduce. Destroy. Begin again. Go on beginning again. 5. Suspect the myths of bilingualism. Trust that the right word in the wrong place still has something to say. 6. Be political. Know the weight and value of what others do in your field. Talk about them. Study them. Write about their work. 7. Nothing is lost. To the reader for whom the source is mute translation is a gift of speech. 8. Own it. You made it, so nurture it. 9. Keep knocking. Shape all the silent energy of a closed door into a knock. Turn pleas into invitations; solicit on the poem’s behalf. Build a case for your poets, for the poems you love. 10. Dig your own well. Where there’s water, don’t stand back for a minute. And drink according to need.